We had another great weekend. 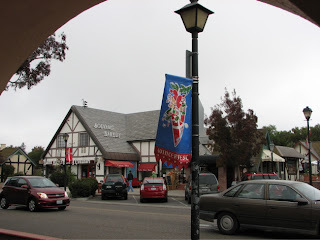 Sunday we went up the California coast, just above Santa Barbara to a little Dutch town called Solvang. Solvang is a city in Santa Barbara County, California, United States. 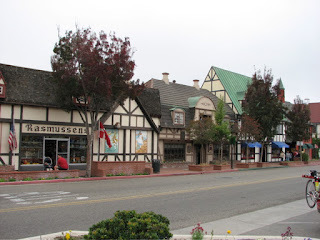 The city of Solvang is one of the communities that make up the Santa Ynez Valley (where Michael Jackson’s Neverland Ranch is located). The population was 5,332 at the 2000 census. 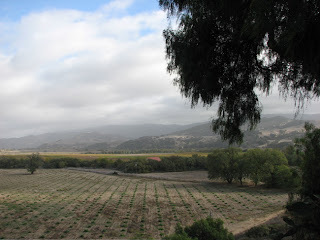 Solvang means "Sunny Field" in Danish. 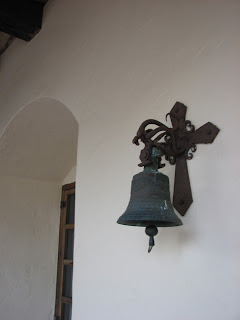 It was founded in 1911 on 9,000 acres (36 km²) of formerly Spanish land by a group of Danish educators. The settlers of this city left for the west to escape midwestern winters. The city is home to some bakeries, restaurants, and merchants offering a taste of Denmark in California. The architecture of many of the buildings follows traditional German style. There is a copy of the famous Little Mermaid statue from Copenhagen, as well as one featuring the bust of famed Danish fable writer Hans Christian Andersen. Walked around and had some extra good pastries. 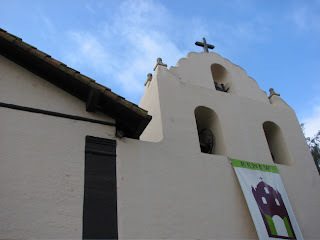 Also stopped at at the Mission Santa Ines, one of the California missions, is both a National Historic Landmark and a California Historical Landmark. 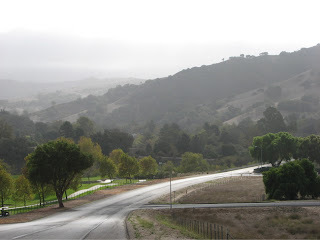 Here are some photos of those California hills that I adore so much. 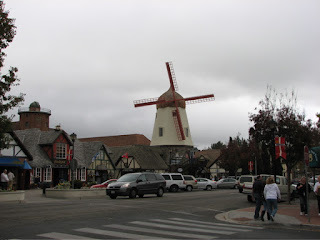 Did you know that all of the pastries in Solvang are low calorie? Yup. An old Danish recipe. It's a secret, the way they do it. And I know it's true, because if it weren't Tyler would be up there almost every week-end! you were so close to me that you could have spit on me, ditty!